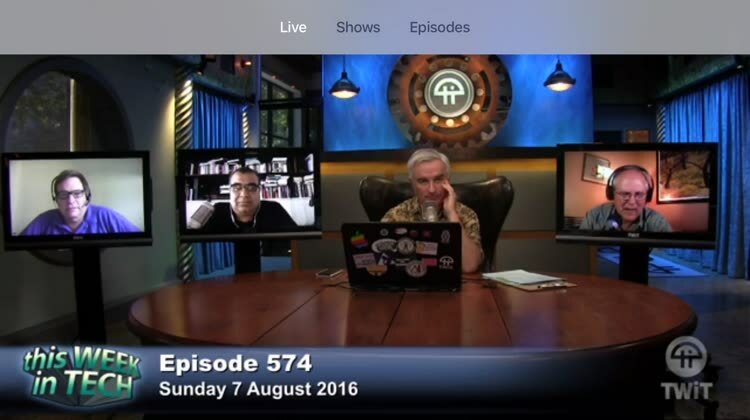 Watch the latest show from the network in just a few clicks with Channel TWiT. Dive right in. To start, you'll be able to view any live feed from the network. Browse by show. Through the Shows tab, you can take a look the content from each and every show. See the most recent shows. You can also view the latest shows recorded. The app is divided into three main parts - Live, Shows, and Episodes. As you could probably guess, the first tab shows any live show. In Shows, you can find exactly what you’re looking for. Finally, Episodes will show the content by the date of recording. 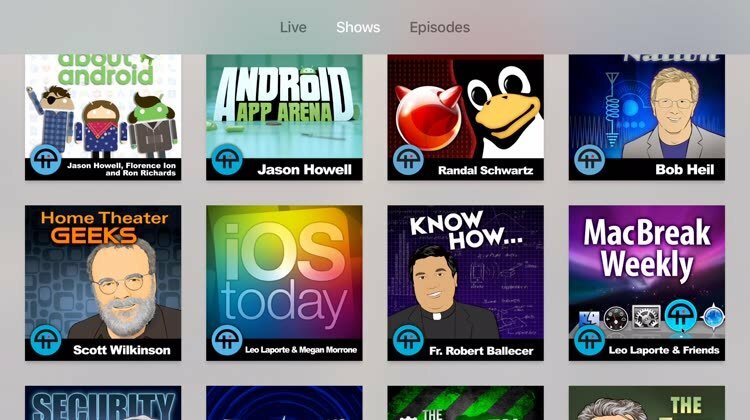 Looking for a free way to experience TWiT content on the Apple TV. Want to sync progress among numerous Apple TVs. Don’t enjoy any TWiT programming. 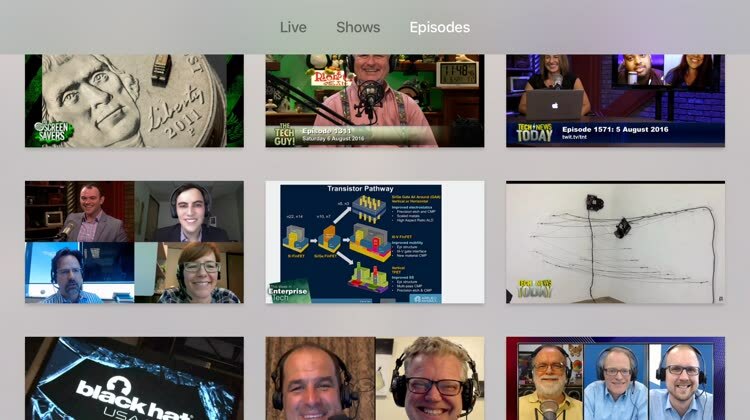 If you’re looking for a simple and free way to watch TWiT shows on the Apple TV, Channel TWiT should be high on your list. It’s easy to navigate, and the iCloud sync feature is a big plus. Enjoy your favorite shows from the TWiT Network from the comfort of your couch. Catch up on the day's tech news, sharpen your skills, or find out if that new gadget everyone is talking about is really as good as it sounds. • Lightning fast loading means less time waiting and more time watching. • Find content by show, from recent episodes, or watch live. • Quick access to the latest TWiT shows from your top row of apps. • Sync your progress across all your Apple TVs. When signed into iCloud you'll be able to pause in the living room and pick up where you left off in the office. • Supports both light and dark modes in tvOS 10. • Hours upon hours of your favorite TWiT shows.